What is a Leather Marshal? A Leather Marshal are hard working individuals who have been elected by our Contingent and Leather Community. As a Marshal you have no official duties or requirements and receive a medallion and personalized banner for the parade.. Pulled by Human Ponies our Leather Marshals are a unique and memorable feature of the San Francisco Leather Pride Contingent. For the 15th year in a row we continue this tradition. 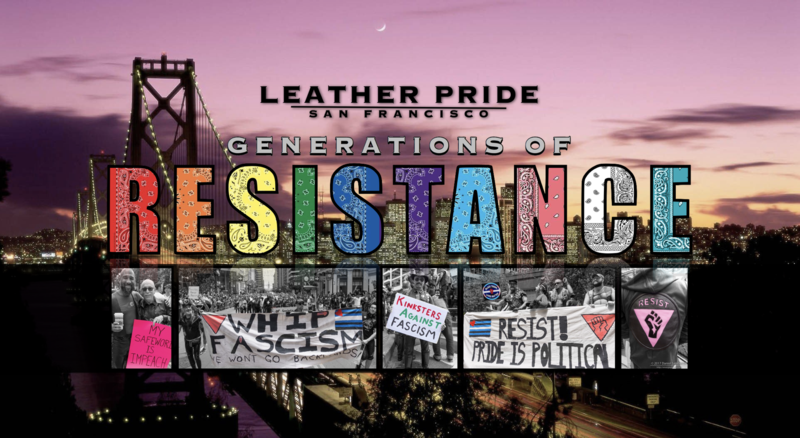 Starting in 2018 the San Francisco Leather Pride Contingent now honors three members of our community, one male, one female and one non-binary recipient. Starting at our March contingent meeting and continuing until our April meeting Contingent Members can nominate any person of their choosing to be a potential marshal, you can nominate a community member . 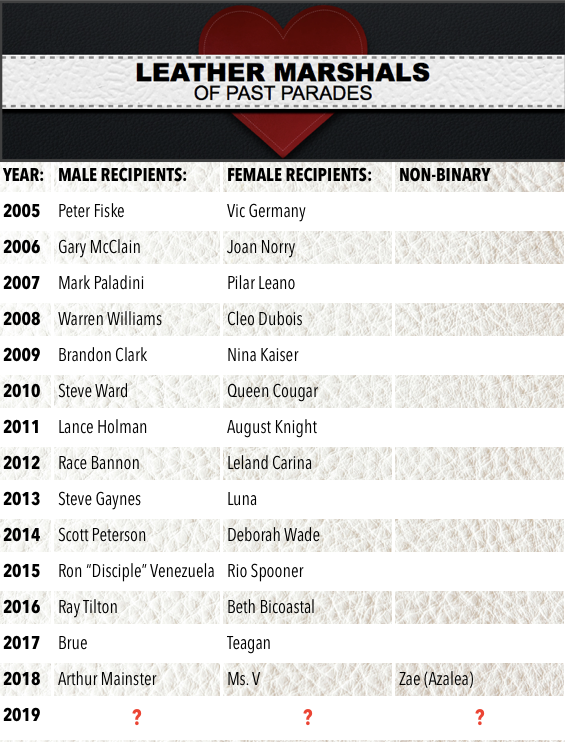 In April our contingent members vote and reduce the nominees to three individuals for male, female and non-binary. Each attendee to our April meeting will receive 2 votes for male, female and non-binary. once all votes are counted the top three advance. In the event that tie takes place a show of hands vote will be conducted to establish the winners. In May during our meeting Contingent Members will get a ballot where they can vote for 1 of the top three nominees across the board. Whoever has the most votes becomes our next Leather Marshal.